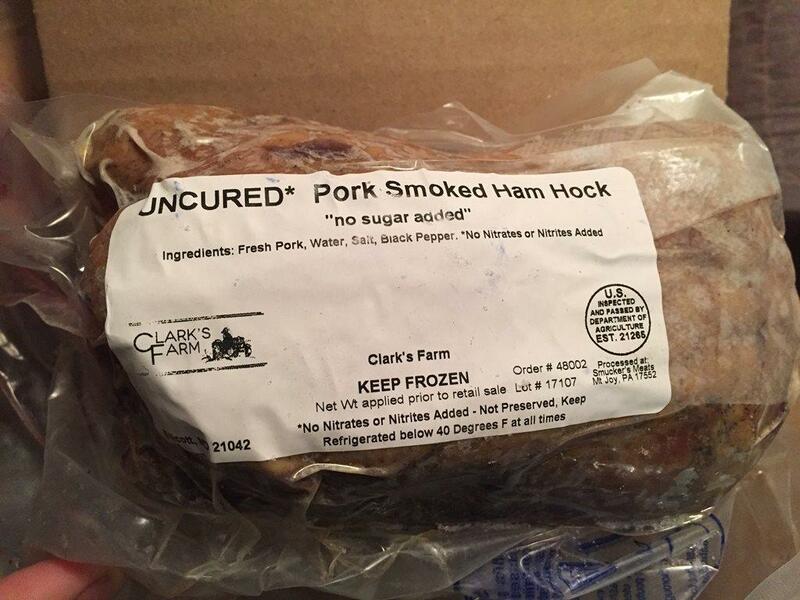 Uncured pork smoked ham hock from pastured pigs raised in an environmentally friendly manner with humane care and sustainable practices. In addition to what they forage they are fed extra vegetables from the farm garden and a special blend of non-GMO grains. Processed in a USDA-inspected facility. Ingredients: Fresh Pork, Water, Salt, Black Pepper. Uncured, no nitrates or nitrites added. No sugar added. Between 1.25 and 2 lbs per package.